Elk striploins are cut from the saddle (back) and are one of the more tender elk meat cuts available. 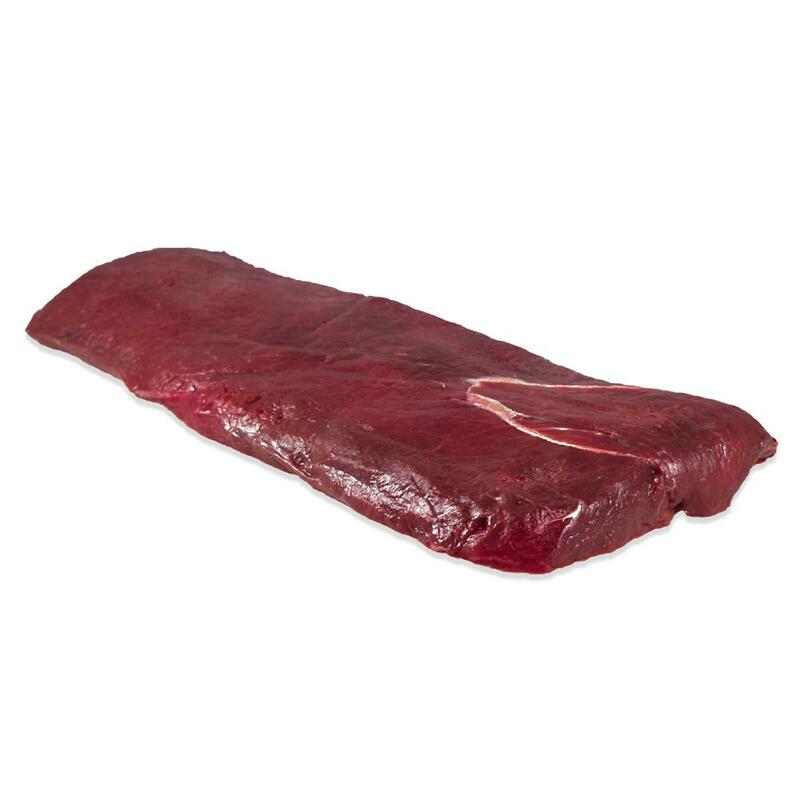 They are suitable for roasting whole or slicing into individual steaks, noisettes (small steaks), or medallions. These striploins have had their surface layer of silverskin removed for your convenience. Store elk striploins in your freezer until you’re ready to use them, then thaw only as many as you need. 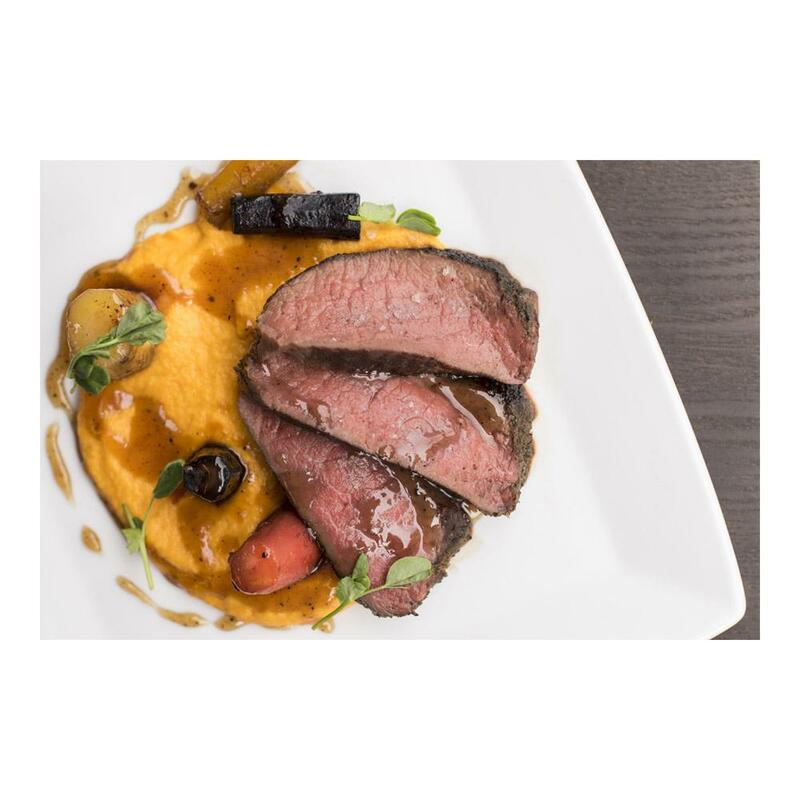 Elk striploins can be roasted whole, sliced into steaks, or cut into medallions. Before carving or serving any cuts larger than a small medallion, you need to rest the just-cooked meat (covered) to let its juices thicken. The larger the cut, the more time it will need. In addition, while the meat is resting it will continue to cook a few degrees, so for your perfect rare, etc, remove it from the heat a couple of degrees early. Plan on resting whole striploins for about 15 minutes, smaller steaks for 10.